A trap that will leave you wounded beyond repair. Unexpected & Wonderful. We look at them, observe them, tread along into their lives, let them tell us their stories. We get attached to them, cry with them, laugh with them. They rule our hearts. These are the characters of the stories we love. I just finished the last book of The Hunger Games series, Mockingjay, where Katniss Everdeen is damaged beyond repair, and so am I.
Rescued form the Arena of the 75th Hunger Games, she finds herself in the hidden District 13. District 12, her home, is destroyed along with its people though her mother, Gale and Prim survive. Most of the remaining districts have rebelled, now she must play the Mockingjay – the face of the rebellion, inspire them to overthrow evil Capitol and President Snow. But those are not the only evil things in the world. Mockingjay is most emotional, intense, gripping and damaging of the three books. It’s a not a fairytale of a girl who went to lived happily ever after, as one might expect. It’s brutally real, that’s how wars are – no one really survives and the wounds run too deep to ever be healed. Suzanne does a masterful job of this story through a personal perspective, how even the heroes suffer along with everybody else. She kept every promise she made, and in a totally unexpected way. She has brilliant imagination and she knows how to play with your heart. Her writing is often a delicate mix of being emotional and clever – to give you an overall bigger picture of an unlimited plot and yet keep it personal. I was afraid that I might meet a typical Hollywood climax, where it all goes wrong or all goes right. Where you’re left with an emotional resolve and you can move on. But what I found was something different. 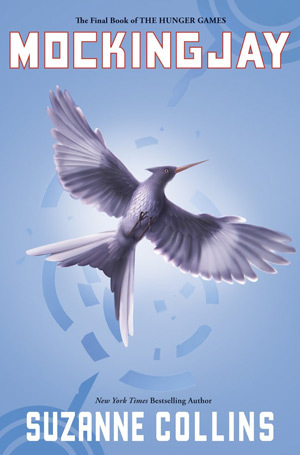 Suzanne Collins weaves a trap around you, that you will not suspect. You will come out wounded, so don’t expect a fairytale but a real one, emotional one and a human one. She is not here to please you, she is here to tell a story, even if it shatters your heart. Published on September 17, 2013. Updated on December 31, 2013.